Brazilian legend Zico, felt identified with Lionel Messi’s incapacity to win the World Cup during his career and deemed it not as important to be the best. Arthur Antunes Coimbra Zico is already considered one of the best Brazilian players in football history, he never won a World Cup just like Lionel Messi throughout his career and yet many consider him just below Pele in the all-time list. Many years after he retired, Zico’s football still left a mark that will be hard to forget until the end of time, he led the mythical Brazilian squad from the 1982 World Cup in Spain and didn’t even make it to the final. 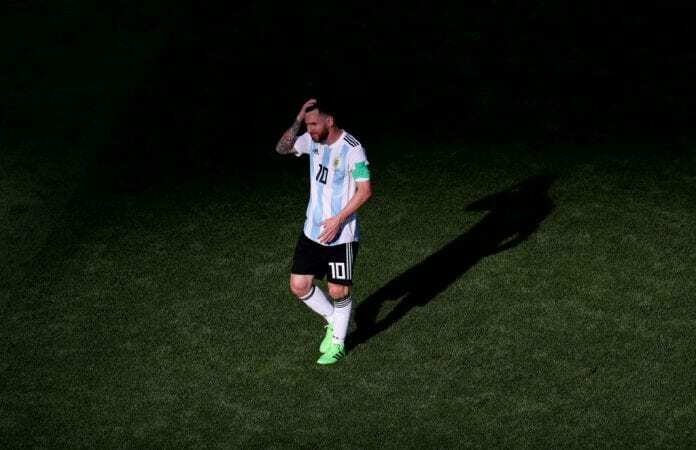 When he sees Lionel Messi’s struggle to win the competition, Zico feels a very familiar sensation because the Argentine still hasn’t been able to crown his already incredible career with the most important trophy in football history. The endless debate that compares Lionel Messi with the other great football players in this sport’s history has very little meaning for Zico, who thinks the Barcelona star is already among the top contenders for the distinction and he doesn’t think the World Cup trophy is needed to be named the very best. When asked about the failed attempts he had to win the World Cup playing for Brazil when he was a professional, Zico denied feeling any type of remorse. “It is not a frustration,” Zico told Omnisport when asked about never winning a World Cup as quoted by Four Four Two. “Everything is based on being the best. Football is a collective game, not and individual game,” he concluded. Zico is not the only all-time great who thinks that Messi doesn’t need to win a World Cup to be considered the best, there are several other players who were never able to get the coveted trophy and are still considered among the best players in football history. Just to give you examples we can talk about Johan Cruyff and the Dutch National Team staying just one match away from becoming the champions, we can also talk about Alfredo di Stefano and the fact that he was never able to even play that competition with any of the national teams he represented throughout his career. The most obvious example of this is Cristiano Ronaldo, who already won the European Championship with Portugal but has never been able to win the World Cup, just like Messi. Zico is one more of those examples, but he doesn’t compare to the careers that the previously mentioned players actually had. Hope is not lost for Lionel Messi, he may still have one more chance to win the competition when he is already 34 years of age in the 2022 World Cup that will be celebrated in Qatar. Lionel Messi does not need to win a World Cup to be the best player ever to play the game. Will Lionel Messi be able to win the World Cup before he retires? Please share your opinion in the comment section down below.